Below chart shows a combination of triad with root on top and diminished 7th. 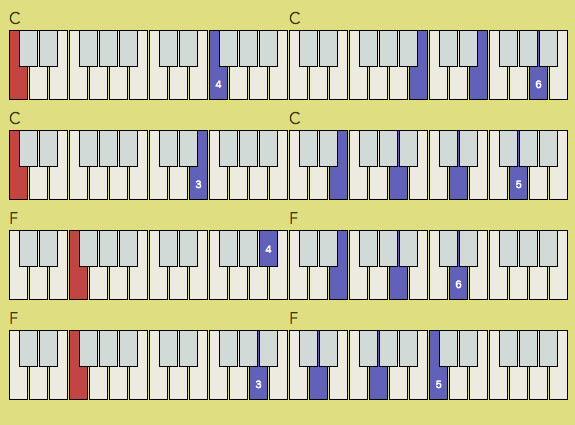 A red key shows a root of each chord. 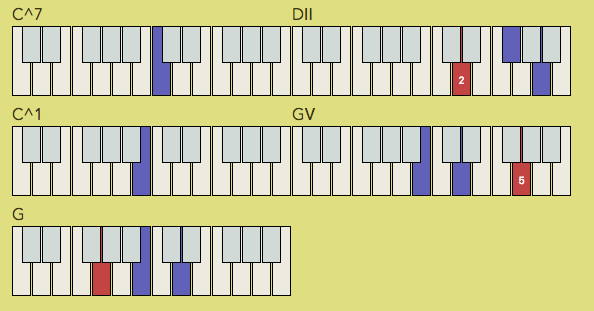 Run with diatonic scale, 3 2 Tonic, 5 4 Tonic, or b7 b6 5 4 Tonic. Try all 12 keys. Slide down to Diatonic major chord. 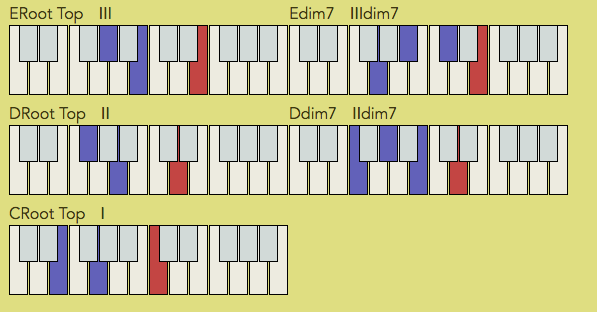 This can be used for V7, with accidental non-diatonic tone. The motion for V of V.